Fabulous Read Alouds for Fall 2011! We are always on the lookout for wonderful read alouds and we just HAD to share this list with you. Here are a few titles to start the year with energy and pleasure! Gather your kids on the rug and enjoy these together! Poor Zero thinks she has no value. She sees the other numbers as they count and wishes she could be like them, but hard as she tries to stretch and pull and change herself, she can only be Zero. Can the other numbers help her see her own special value? Both primary and upper grades will have conversations around this book about the importance of staying true to yourself and what having value truly means. Don’t forget to look for Otoshi’s earlier title–One! Both are reads your class can’t miss! Scaredy Squirrel is scared of pretty much everything! He fears germs, killer bees, bad dreams, seagulls–you name it– he’s afraid of it. Scaredy is always prepared for the worst and he always has an emergency kit and back-up plans ready for any situation. In each of these hysterical stories, he is forced to confront his fears and realize things aren’t always as bad as he thought. Your children will realize we all have fears and we can support each other to deal with them. The illustrations, also by Watt, are done in great detail and the inclusion of diagrams, lists, schedules, maps, etc. 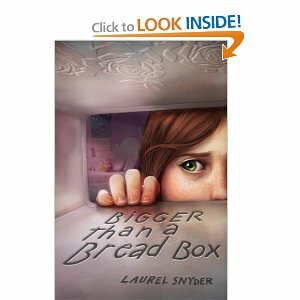 also make these books great mentor texts for a variety of genres! In a busy, crowded city, no one sees a hurt bird laying on the ground except for one small boy. With the help of his mother, the boy nurses the bird until he can see it soar free once more. The illustrations show the careful tending of the bird by the boy in heartrending detail. The story will raise questions about one person’s ability to make a difference and keeping our eyes open to seeing more than just our own needs. “What kind of person is Will,” we might say, asking children to interpret the character of the boy. And then, “What would you have done if you had seen the bird? And what kind of person does that make you?” Upper grades can easily move from discussing the bird to the larger metaphor of social responsibility and just what the bird represents. Desmond is so shy, he likes to blend into the background and disappear. But when Gloria comes to school, she is determined to help him find his way into the spotlight. Can Desmond find the courage to become visible? Here is a tale many students will relate to and the class can have conversations about how each of them can be more like a Gloria in the lives of others. How can they help to bring out the potential of others? And, once your students notice that there are others in the story who are disappearing even once Desmond himself is visible, the conversation can move to discussing and setting community goals. Let’s Hear it for Nonfiction! Nonfiction is not just for one unit–weaving nonfiction read alouds into your whole year is a great way to show the value of nonfiction–and help students raise their nonfiction reading skills! Try some of these to build community and a love of nonfiction in your classroom! This one has been on our list of great read alouds before, but we couldn’t help ourselves–we had to put it on this year’s, as well. That is, we think this is one your class can’t miss! Join New Zealand’s National Kakapo Recovery Team as they work on a remote island refuge off the coast of New Zealand to save the last of the kakapo. Through Nic Bishop’s incredible photographs, your students will witness first-hand the work and the passion of the fourteen humans trying to save the kakapo from extinction. Conversations about the environment, extinction, the role of humans, the results of determination, etc. cannot help but unfold around this incredible tale. We think your students will be just as excited about it as we are! Winter’s lively books tell the stories of people who achieved greatness and the obstacles they overcame to do so. He has written about Sandy Koufax, Sonia Sotomayor, Josephine Baker, Muhammad Ali, and President Obama, along with many others. Due to come out next year is a biography of Pablo Picasso and in October, Winter’s book of his own family history will be published. Each title is done with rich illustrations and each will help students discuss challenges and obstacles people face and the inner qualities that allow them to succeed. Strengthen your students’ narrative nonfiction reading! 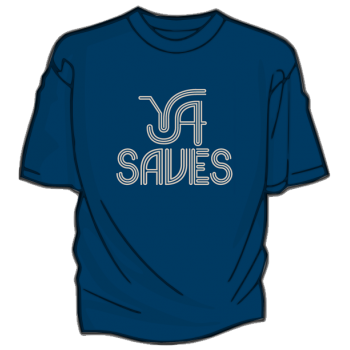 My DFTBA friend Dana surprised me with a YA Saves t-shirt today! What a fun surprise! We will both be wearing them at the ALAN workshop in November. The Morning Keynote will be held at Riverside Church at9:00 a.m.
was elected a Chancellor of the Academy of American Poets. where his work won six Emmy Awards. Teaching Reading and The Art of Teaching Writing. Bomer she is the co-author of For a Better World. frequent guest lecturer at national conferences. Vicki Vinton of The Power of Grammar, and author of Looking to Write. Leadership in the Teacher of Writing. I could keep going, but I have to get back to the task at hand today, which is to make a huge dent, if not finish my gazillion hours of documentation for the hours and projects that I have done TO COMPLETE MY PRINCIPAL LICENSURE!